It makes sense that an appliance dedicated to cleaning should be able to clean itself. 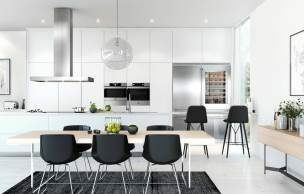 ASKO designers understand multifunctional appliance capability better than anyone and provide Australians with a complete range of washing machine options, all with self-cleaning functions and other innovative programs. Quality appliances include programs, modes and components to ensure they always look their best. ASKO washing machines are a scene-stealer, standing out from the competition for many years of faithful service, using durable, seamless parts wherever possible. 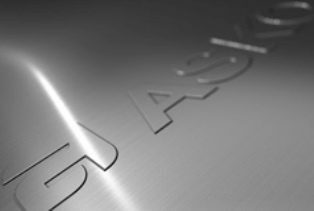 The stainless-steel washing machine drums used by ASKO are just one example of ASKO appliance standards that guarantee clean, hygienic washing and maintenance. ASKO washing machines clean in lots of ways, including cleaning and maintaining its own interior drum. It’s as easy as selecting the drum cleaning option on the control panel and running the program. 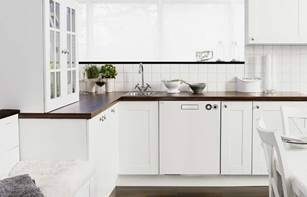 ASKO appliances are made without perishable plastic and rubber components that trap grime and cause damage, while the exterior is just as easy to clean, requiring only a soft cloth and mild detergent to do the job. ASKO source highest-quality materials and components from reputable, environmentally-conscious manufacturers. Seamless washing machine exteriors are constructed using stainless-steel or powder coated sheet metal, while the sturdy housing is supported by the Quattro system, where four shock-absorber legs eliminate vibration. The addition of an occasional inspection of filters and water outlets will ensure your ASKO washing machine remains clean and efficient for every wash load. ASKO washing machines take over the workload while also assisting with cleaning and maintenance. Cleaning the washing machine filter is an example of a simple hands-on procedure that greatly improves washing machine performance, sanitation and wash results. ASKO washing machine components are built to last and designed for convenient removal, cleaning and replacement as part of your regular washing machine inspection. 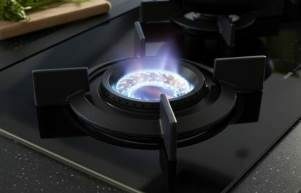 ASKO development of multifunctional appliances is legendary. Today’s washing machines bear little resemblance to appliances of the past, and leading brands such as ASKO introduce users to an entirely different approach to housework. The synergy between manufacturing and technology displayed by ASKO developers is unmatched, especially when the appliance can remain clean and showroom fresh for its entire lifespan. ASKO washing machines automatically sense water and load levels, while the ingeniously designed drum guides and flushes unwanted grit and grime away, assisting users to clean their ASKO appliance with ease. Why is it important to clean your washing machine? ASKO front-loading washing machines use less components and moving parts than top-loaders and competing brands. There is less that needs cleaning, maintenance or replacement, allowing ASKO washing machines to perform optimally for years. Your ASKO washing machine includes a self-cleaning program, plus other initiatives that make cleaning your washing machine easy. Older appliances with perishable rubber and plastic components tend to deteriorate over time, attracting dirt and grime that collects in difficult-to-access corners. This results in unhygienic washing results and unwanted residual odours on clothing. The solution is ASKO washing machines that remain clean and fresh for their entire service life. Are there natural remedies for cleaning a washing machine? 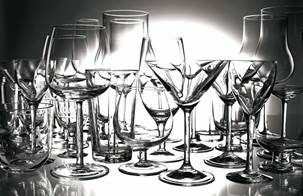 ASKO innovations include products that are stainless, easily cleaned and fully recyclable. We focus on environmentally friendly solutions, including minimal detergent use and powerful cleaning action. All ASKO washing machines function optimally using soft detergents and natural cleaning remedies. For example, the self-cleaning ASKO washing machine mode is effortless, and all that’s required is the addition of light detergent or non-abrasive natural cleaning agent such as citric acid, vinegar or bicarbonate of soda. The self-cleaning program functions at 90ºC or more, ensuring mould and and grime is safely removed and washed away. 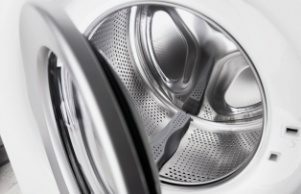 What maintenance tips can help keep my washing machine clean? It’s important to keep the washing machine hoses, filters and drains clean and clear of blockages. The washing machine filter retains small objects such as coins and buttons, and the procedure for removal of foreign objects is clearly outlined in your ASKO washing machine user manual. For example, the washing machine drain is cleaned in only a few minutes. Firstly, use the ‘Drain’ program accessed via the control panel, and once complete, disconnect the washing machine power cord from the power point. The pump filter cover is easily opened, revealing a water drain hose inside. Release excess water from the hose and then remove the filter by turning it counter-clockwise. The filter is easily cleaned by running it under water, while the filter housing can be rinsed and wiped clean with a sponge or cloth. Your ASKO appliance is the no fuss way to achieve superior clothes washing results, and the uptake of ASKO appliances by Australian home owners is proof that our washing machines are delivering the results consumers expect.